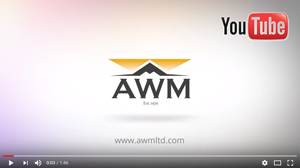 AWM Limited is a leading independent supplier and UK manufacturer of high quality professional weighing equipment, process control and dimensioning solutions. Founded by Brian Spink in 1979 in the historic market town of Bury St Edmunds we are a highly respected weighing scale company, supplying platform scales, indicators, loadcells process control and software solutions to a strongly established network of customers and distributors throughout the UK and around the world. Scale Trade with high quality weighing solutions. NHS Hospitals to Multinationals including Rolls Royce, Kraft, British Sugar and Catlin Holdings. UK Weighing Federation and our full calibration procedures comply to the UKWF Code of Practice. Where other companies have moved their manufacturing abroad, we are proud to still manufacture our VW range of industrial platform scales here in the UK. The VW range is trusted by weighing professionals worldwide and is highly regarded for its quality and reliability - a result of more than 30 years experience in design and manufacturing. We were one of the first independent weighing scales companies to obtain ISO Certification and our ISO registration ensures that all of our weighing systems are manufactured to strict quality standards. Our products are fully QA tested and calibrated by our highly trained engineers before being professionally packaged ready for despatch. We are NAWI certified for Self Verification of EC trade approved weighing machines and were one of the first independent weighing companies to obtain this certification. For distributors who export, as part of our verification process we make the required gravity adjustments here in the UK to ensure the scale meets all accuracy requirements in the country of use. For our established distributors we also offer our Outsourced Verification course which allows you to verify Class III scales under our ISO system. AWM Limited has been awarded accreditation from Safecontractor for its commitment to achieving excellence in health and safety. Safecontractor is a leading third party accreditation scheme which recognises very high standards in health and safety management amongst UK contractors. Under the Safecontractor scheme, businesses undergo a vetting process which examines health and safety procedures and their track record for safe practice. Those companies meeting the high standard are included on a database, which is accessible to registered users only via a website. AWM Limited has been designing and writing custom software solutions for the Cardinal programmable weight indicators since 1997. Our software is written and supported by our highly experienced in-house programmers and project managed by our dedicated team. AWM software is used around the world with applications ranging from PLU labelling & traceability to unmanned weighbridges and concrete batching and we pride ourselves on being able to meet almost any project requirement.